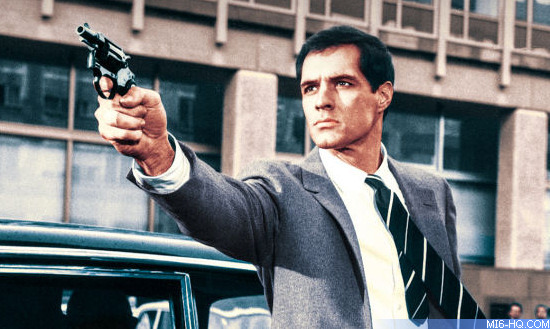 John Gavin has the distinction of being the only James Bond to never make a James Bond film. 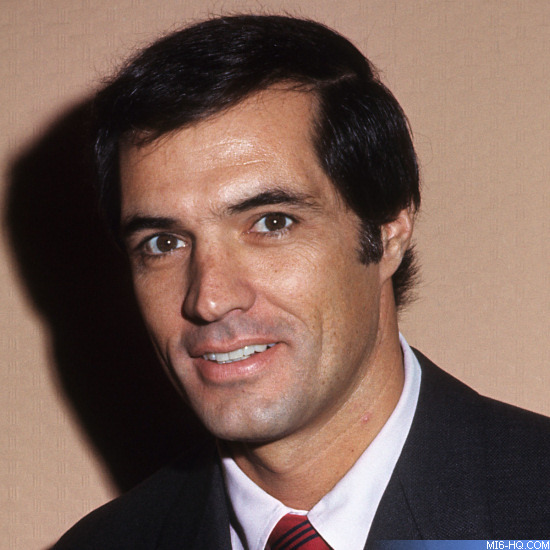 Born Juan Vincent Apablasa on April 8, 1931, John Gavin was of Mexican and Chilean descent and was fluent in Spanish. He attended St. John's Military Academy and Villanova Prep in Southern California and went on to earn a B.A. from Stanford University and graduated with a degree in economics and Latin American affairs. Gavin served in the US Navy as an air intelligence officer from 1951 until the end of the Korean war in 1953. The naval intelligence officer turned actor in the mid-1950s after a family friend arranged a screentest at Universal-International. Despite his hesitation and lack of any acting instruction, Gavin was successful and the studio "offered me so much money I couldn't resist", he said later. Universal lined him up with roles in 'Behind the High Wall' (1956), 'Four Girls in Town' (1957), and 'Quantez' (1957) before his big break came in 1958 when he landed the lead in 'A Time to Love and a Time to Die.' Although the film was not a big success, Gavin received good notices. A trio of classic films followed: 'Imitation of Life' (1959) with Lana Turner, 'Spartacus' (1960) as Julius Caeser, and 'Psycho' (1960). Gavin went freelance in 1962 but return to Universal in 1964 after some canceled projects and a brief flirtation with leaving the industry and taking up law. He had married actress Cicely Evans in 1957. They had two children Cristina and Maria but later divorce in 1965. 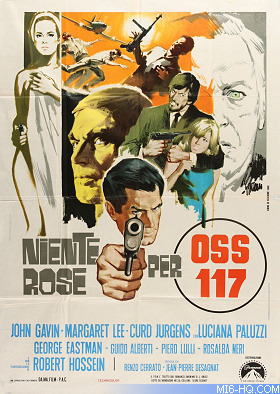 A couple of years later, he dated 'No Roses for Robert' co-star and former Bond girl Luciana Paluzzi. Gavin went on to marry actress Constance Towers, twenty years his junior, in 1974. In 1971, after producers Cubby Broccoli and Harry Saltzman made the decision to never entertain a possible second George Lazenby situation, the hunt was on for an English actor to take on the role of James Bond. A dozen contenders were tested but nobody had the approval of both Broccoli and Saltzman. 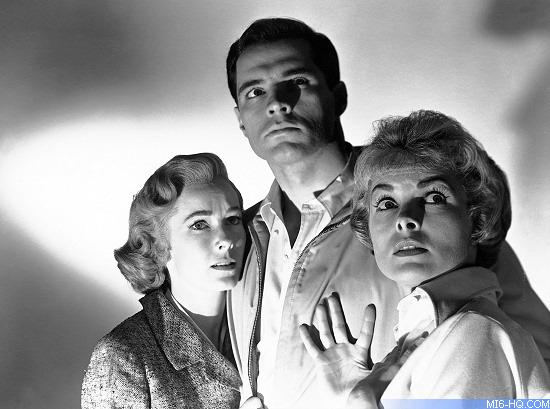 Further complicating the casting was the veto power of United Artists, and had a contract hanging over EON in order to produce the film on time. Another wrinkle to the usual pre-production process was the need to film in America, both for the reasons of the story (Las Vegas was the main location) and also for business reasons. Broccoli regrettably conceded that the next Bond film has to be made in Hollywood and the decision was buoyed by director Guy Hamilton, who had sworn never to make another film in Britain. With no other viable candidates in sight, Broccoli and Saltzman announced 'Diamonds Are Forever' would star John Gavin as James Bond in an interview with the LA Times in January 1971. Meanwhile, David Picker of UA - not thrilled with the idea of Gavin - was on a charm offensive with Sean Connery. Picker eventually got the world record pay deal agreed with Connery to return, much to the delight of Broccoli who had not been any part of the process. That left a difficult situation - two James Bond's under contract and only one film to make. EON paid John Gavin's contract in full and the relationship ended amicably. While Gavin walked away with $50,000, Connery was set to earn $1.25m and 12.5% of the gross. Broccoli later explained to the LA Times in July that year, "Time was getting awfully short. We had to have someone in the bullpen." The film was eventually made on location in Las Vegas but all the interiors were back at 007's traditional home of Pinewood Studios, and the Americanisation of Bond productions never happened. Broccoli had the intention to revisit Gavin as a potential 007 once 'Diamonds Are Forever' had been completed, but by that time their first choice, Roger Moore, had become available after The Persuaders! only lasted only one season. Gavin was on the Board of the Screen Actors Guild (SAG) in 1965. He served one term as Third Vice-President, and two terms as First Vice-President. He was president from 1971 to 1973. Around the time of his presidency, Gavin made a successful foray into live theatre, showcasing his baritone voice. Shortly after Ronald Reagan started his first term as President of the United States, he appointed fellow actor Gavin as U.S. Ambassador to Mexico in June 1981 and served until June 12, 1986. According to the LA Times, Gavin was an "activist envoy to Mexico" who "won praise in many circles for his handling of such issues as trade and illegal drug dealing as well as for speaking out against anti-American sentiment. But his candor and meetings with critics of the ruling party prompted accusations by Mexicans of meddling in the country's domestic affairs." After his work as Ambassador to Mexico, Gavin became a successful businessman serving on the boards of multiple companies as well as working pro bono for several charities and non-profit institutions. John Gavin died in the morning of Friday 9th February 2018, in Beverly Hills, California at the age of 86. He is survived by his wife Constance Towers and their two stepchildren, his eldest daughter Cristina (who followed in his footsteps and became an actress) and his younger daughter, Maria (who also earned a master's degree from Stanford, and has a successful career in television production).